This article applies to users who are upgrading to Pega Customer Service from Customer Process Manager (CPM) 6.2 and prior versions. 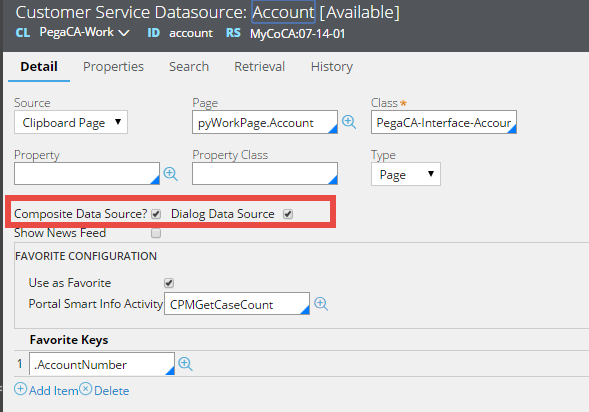 Pega Customer Service Data Source rules include defining dialog properties, portal search parameters and composite parameters for tabbed navigation. Access the Customer Service Data Sources landing page by clicking Designer Studio > Customer Service > Customer Data Management > Customer Service Data Sources. Click the Data Source name in this list to be redirected to the rule form. Update the Composite Data Source? and Dialog Data Source? fields for your implementation. Composite Data Source and Show News Feed configurations are not applicable for Interaction Portal. 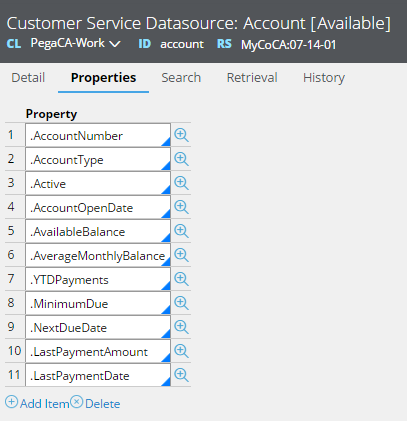 As a best practice, because Data Sources defined in the PegaCA-Dialog class are deprecated, properties defined on Data Source rules in the Dialog class should be copied over to the property list on the Data Source rule for that data class (for example: PegaCA-Work). 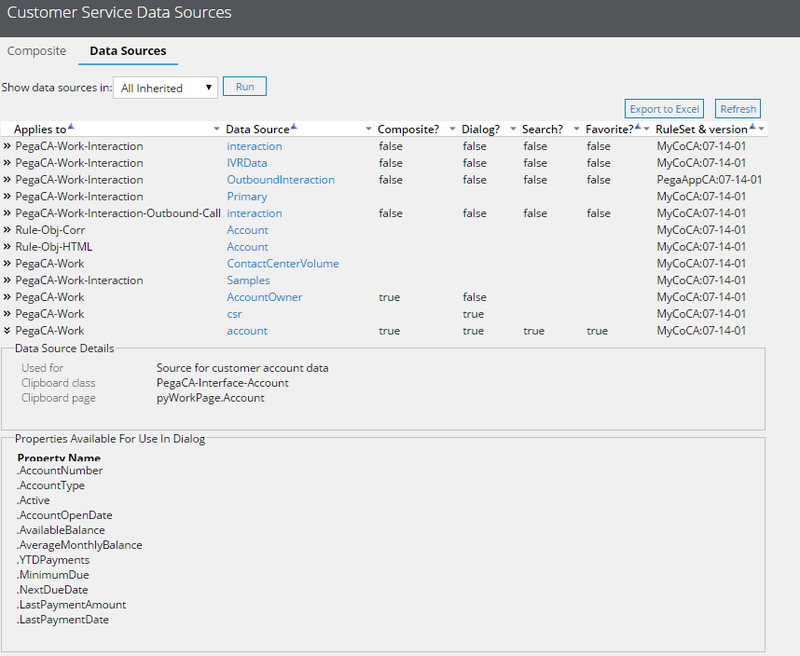 For more information on Pega Customer Service Data Sources, refer to the topic "Configuring Data Sources" in the Pega Customer Service Reference Guide.